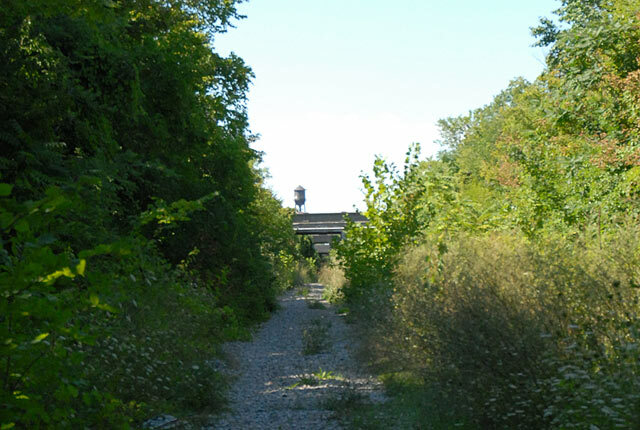 The abandoned Dequindre Railroad cut runs for a mile between the Detroit riverfront and Eastern Market. 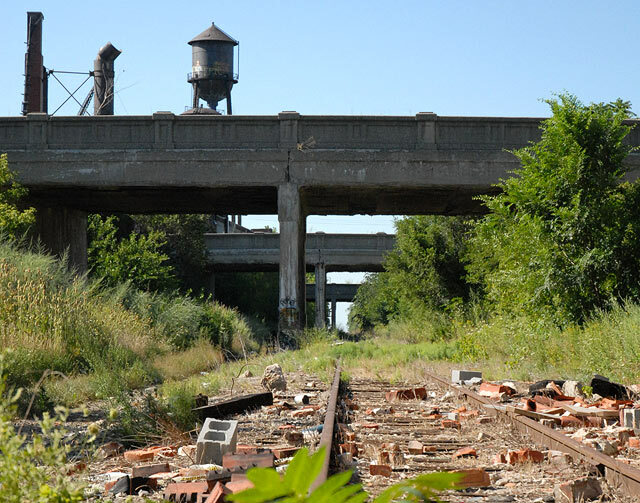 This view is looking north at the last of the 3 WPA era bridges near Eastern Market. Beyond that point the railroad continues at ground level. 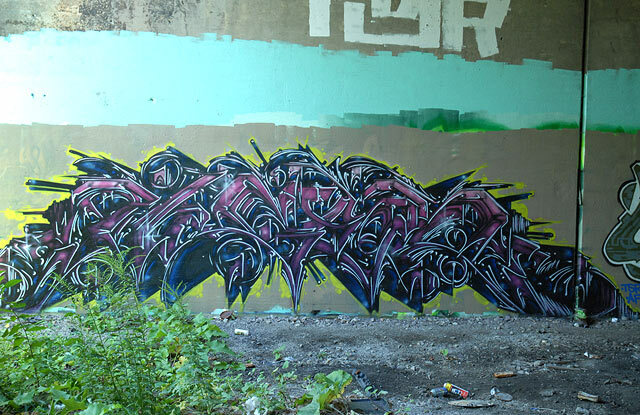 Amid the ruins has arisen Detroit's most prestigious graffiti gallery. Several layers of spectacular paintings have been created here over the years. DetroitYES.com has previously featured this amazing cultural aspect in two "Lascaux Detroit: The cave paintings of Detroit". Vegetation beards large areas of the cut. Best time for gallery viewing is autumn through to spring when the leaves are gone. 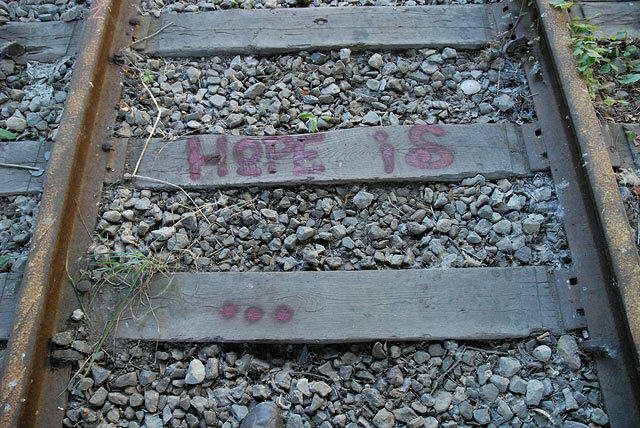 Exciting new plans are in the works to convert the cut into a urban parkway with bike and pedestrian pathways.